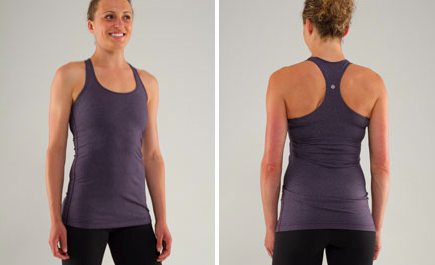 After my post last week about ordering issues on lululemon.com and their overselling hot items for the past several weeks your probably wondering if I’m going to chance it again tomorrow. Well, I think if one of the items I’m curious about pop up I will try it out but this time I will be using my credit card, that way if there are issues with processing my order I can contact my credit card company and have them cancel the purchase instantly instead of going thru the rigmarole of contacting Guest Education. 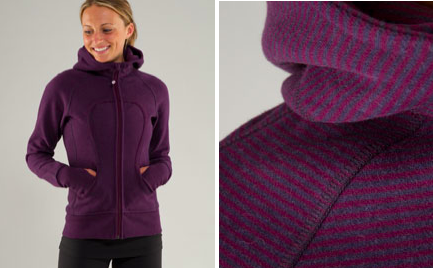 I suspect there will be issues again if items like the Apres Pullover, Run: For It Pullover and the Pink and Heathered Black Swan Cool Racerback Tanks make it online. Those are hot items and some have popped up in product alerts for stores that didn’t receive those items so there is a lot of hype created already for them. The Heathered Dusty Rose Cool Racerback has been a sneak peek item on the website for the last two weeks so I’m pretty certain it will upload and there will be a lot of you guys in line to purchase it. 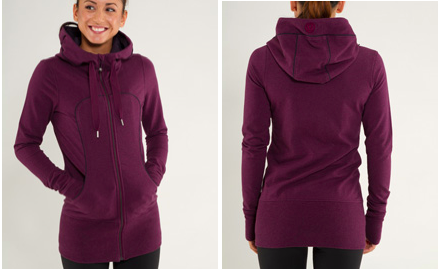 I was initially thinking of getting this Apres Pullover in Black Swan since I’d heard it had the sherpa fleece lining but a commenter yesterday said it wasn’t lined like the DHBH Pullover. I’ve also heard that the inside is lined with circle mesh and that doesn’t seem very cozy so I think I’ll stick with my Don’t Hurry Be Happy Pullover. I really, really like this pullover. If this pops up I’ll order it for sure but I’m not positive I’ll keep it. Tech Fleece is quite warm for running and I think too warm for Vancouver. 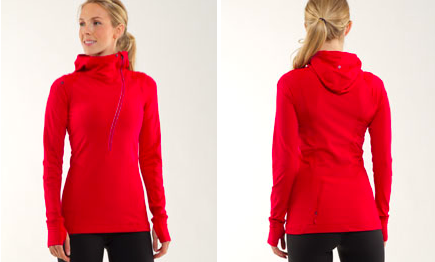 It also doesn’t have the stretch that other pullovers have so not as comfortable and a little bit stiff. 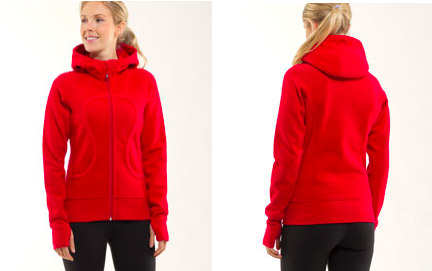 Tech Fleece is a very short pile fleece that doesn’t feel as soft to the touch. This run of Cabin Long Sleeve Tees are too long for my frame TTS so I think the stripes will help visually draw the eye up instead of down. I’m almost inclined to size down in it to see how that looks. If this doesn’t look good on me though I wont be heartbroken since I found a couple of Long Sleeve Tees at Old Navy that are really cute and cheap. I’d love a Heathered Black Swan CRB but I doubt it will show up tomorrow since only one product alert had this.